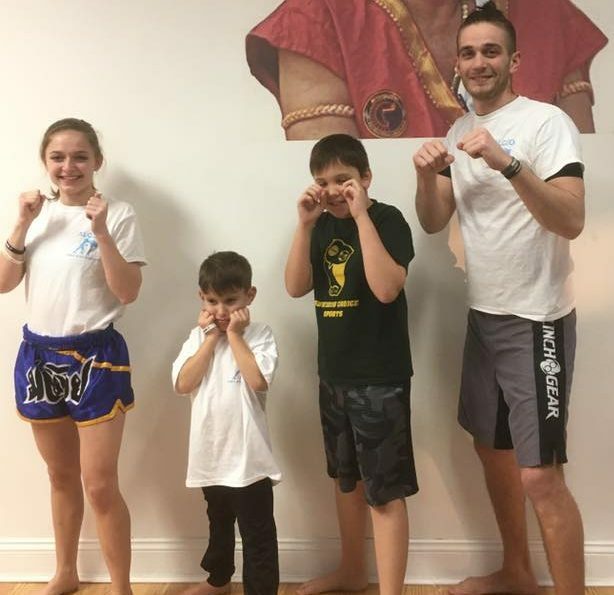 Coach Alex Scafidi actually started taking kickboxing classes at Algeo MMA & Kickboxing in 2013 while tagging along with her dad and sister. She worked hard and showed up consistently and decided she wanted to learn more about the techniques taught in class and started taking Muay Thai. She quickly realized how much fun Muay Thai was and decided to start taking both classes to increase her overall striking knoweldge. Alex began attending the gym everyday to not only improve her technique, but to also stay fit and healthy. One thing Alex values most about training at Algeo MMA is how the rigorous workouts and uplifting environment enable her to regain focus. Alex is currently an Allied Health major with a minor in Human Development at Penn State Brandywine. Alex is one of our top instructors at Algeo MMA and can be seen almost daily teaching classes or training herself in all the martial arts we offer. She now teaches a majority of the Kickboxing classes and some of the Muay Thai classes as well. She has a great personality for getting people engaged in class and truly wants to help every student as much as she can. Come try her class out for 2 weeks totally free, you will be hooked instantly!